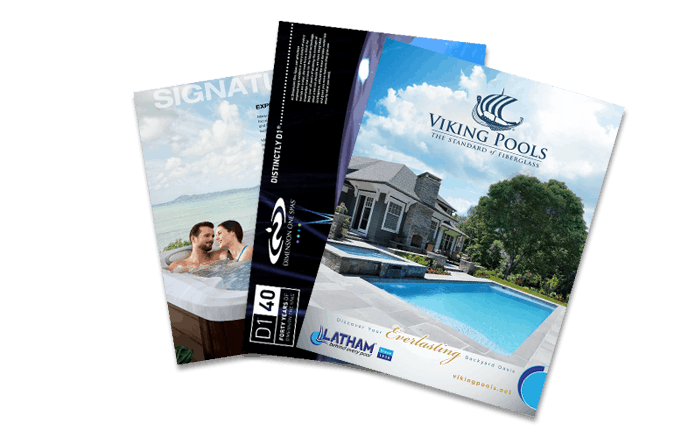 Aqua Pools Online > Learn More > What will happen during construction? The short answer is: your yard is going to be a mess! Sorry, we can’t lie. We do our best. But we have to bring all kinds of trucks and equipment with us to deliver your pool and building supplies, excavate the dirt where the pool will go, probably haul off that dirt, etc. The long and the short of it is: we have to bring lots of heavy equipment. We have to drive around the house, dig a gigantic hole in your yard, and probably haul at least some of that dirt away. Then we have to bring your pool or building materials in and get those into place. We sincerely appreciate our customers who understand that the pool building process is messy, but oh so worth it! This is also a great time to rethink your landscaping, because much of it will need replacing after we’re done. Consider adding attractive plants around the pool deck to replace the ones we — oops! — have to move or destroy.